Introducing Google Shopping for OpenCart! Your brand new marketing tool allowing effortless promotion for products from your OpenCart store to shoppers who are searching for them online. Now you can display products directly to interested customers across Google’s network. 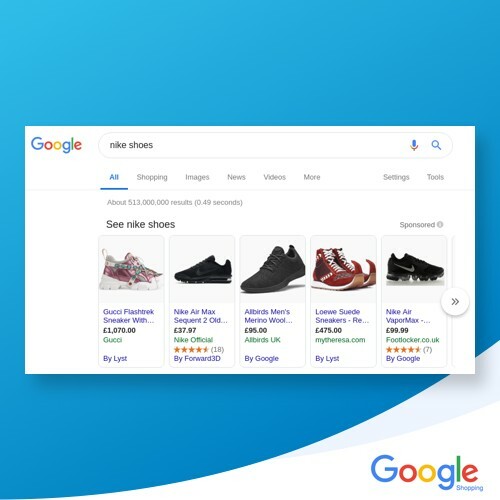 Google Smart Shopping Campaigns focus on driving AI-optimized traffic straight to your own OpenCart store using your own product data to create your advertising campaigns. 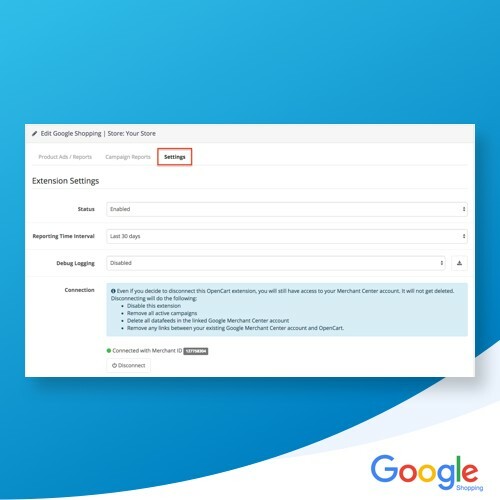 After connecting Google Shopping with your OpenCart administration, you gain the ability to setup campaigns faster and easier than ever before. No more manual feeds or even the need to log into Google to manage your campaigns! 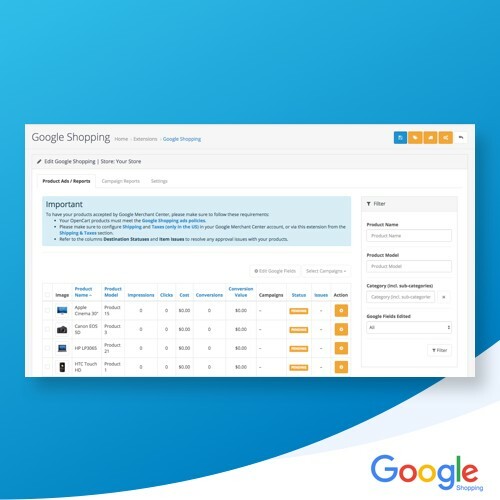 Google Shopping creates a feed of your products in OpenCart where you can define the details and categories of all items for sync with the Merchant Center Account. Update the field whenever you make changes. 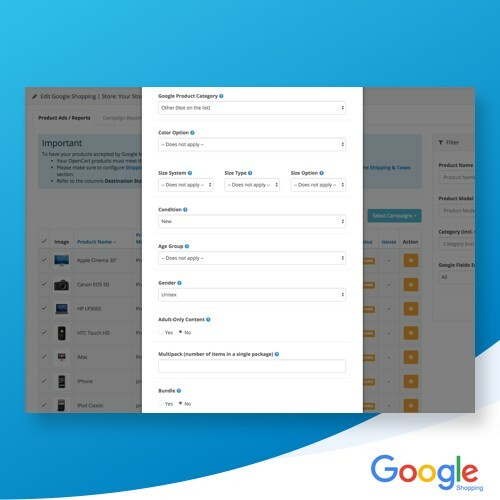 Define your target country, set a daily budget, select language & currency and leave Google’s new AI-optimized technology to distribute your products across the web. Get started within minutes. 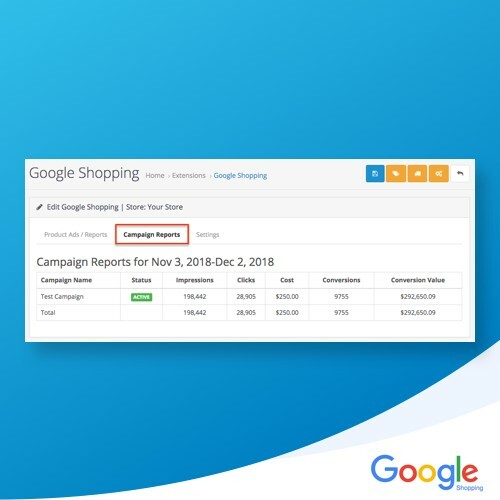 Once you start, keep track of the success and progress of your Google Shopping campaigns straight from the extension’s admin interface. Overview, impressions, clicks, conversions and revenue. How does Google Shopping help my OpenCart? This is an integration of Google Merchant Center and Google Smart Shopping campaigns. The complete setup of a Merchant Center account requires a lot of time for the average user. 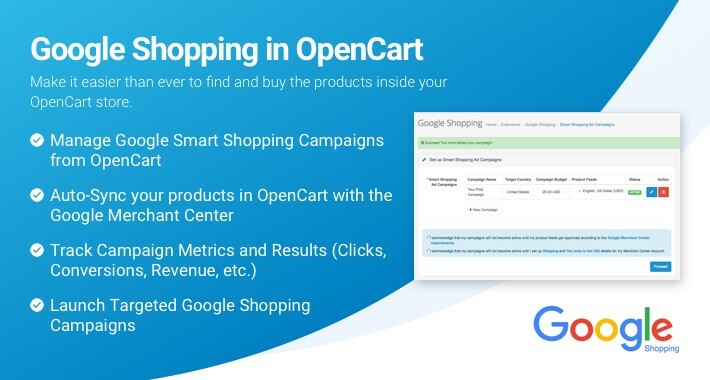 Now, all of the steps for verifying and claiming your website, syncing your products, and addressing product or account issues, etc are fully automated with Google Shopping for OpenCart. Google Shopping for OpenCart allows merchants to get up and running considerably faster. As for store owners who already have a Merchant Center account, they can continue to use their existing account with the Smart Shopping Campaigns integration. 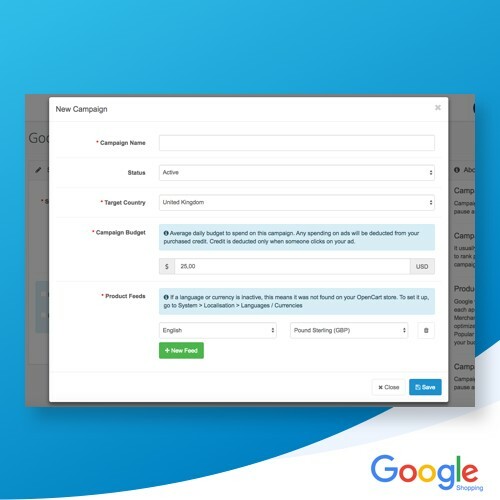 Standard Shopping and display campaigns offer many manual controls for audience targeting, network targeting, and bidding adjustments, while Google Smart Shopping Campaigns simplify the setup and management of your advertising. They are a combination of both standard Shopping and display remarketing ads under one campaign type. Smart Shopping campaigns automatically adjust bids and budgets, taking into account 70 million unique signals in each ad auction. 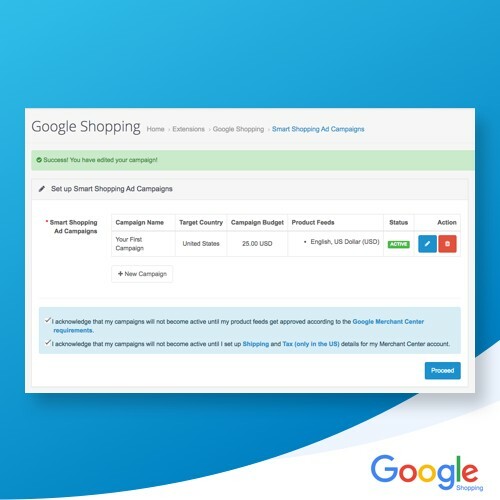 Google Shopping for OpenCart allows all merchants to create Smart campaigns, regardless of whether they have an existing conversion history or remarketing list. Great news for advertisers getting started with Google Shopping for the first time! Smart Shopping campaigns are focused on driving sales. Based on early Google data, on average, advertisers have seen more than 20% higher conversion value (sales), compared with standard Shopping campaigns at a similar cost. We’re confident that it will also drive sales for OpenCart merchants. Developed together with Google, the goal of Google Shopping is to help you grow your business. A latest version has been released 10/4/2019.